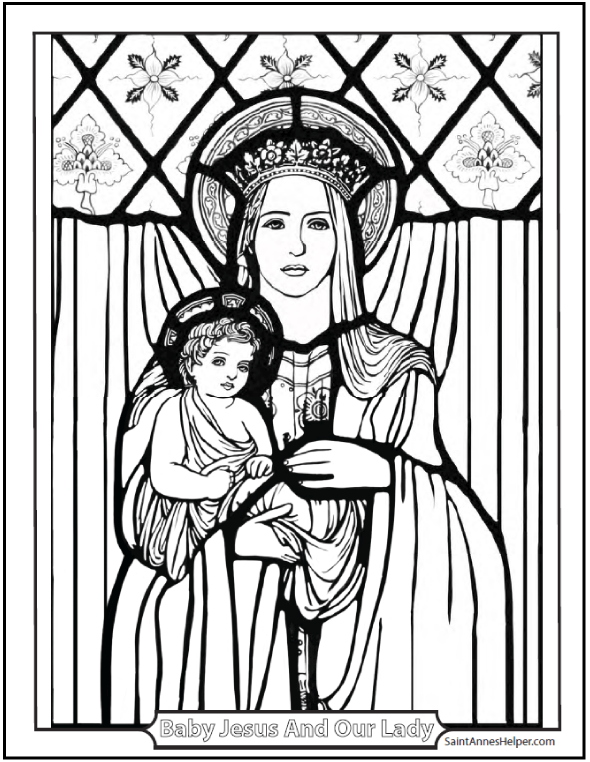 Hail Mary printable in cursive writing. The Hail Mary prayer is easy to learn. Most Catholic children learn the Angelic Salutation at home when they join the family for their daily Rosary because we say it fifty-three times during the Rosary. 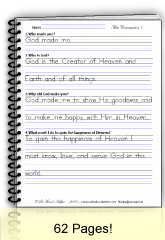 If you'd like to have a printable copy for copywork, see below for manuscript print or cursive writing. Print as many as you need and share with friends. Where does this prayer originate? St. Gabriel and St. Elizabeth in the Bible dictated most of the Hail Mary to the Blessed Virgin Mary. The Archangel Gabriel greeted her in the Annunciation, March 25 with the words, "Hail, full of grace, the Lord is with thee." This is also the day of the Incarnation because Jesus became man at her Fiat. Since this was the angel's greeting it is also known as the Angelic Salutation. Because St. Gabriel had told Mary that her cousin Elizabeth was to have a child and because Elizabeth was in later years, Mary went with St. Joseph to visit and help Elizabeth. This is known as the Visitation of Mary to see Elizabeth who said "Blessed art thou amongst women, and blessed is the Fruit of thy womb, Jesus." There it is! Half the prayer. The next most important Catholic prayer after the Our Father Prayer is the Hail Mary. The Archangel Gabriel said the first part to the Blessed Virgin Mary when he announced God's plan for her to be the Mother of God. This means that God Himself gave it to us indirectly through St. Gabriel. 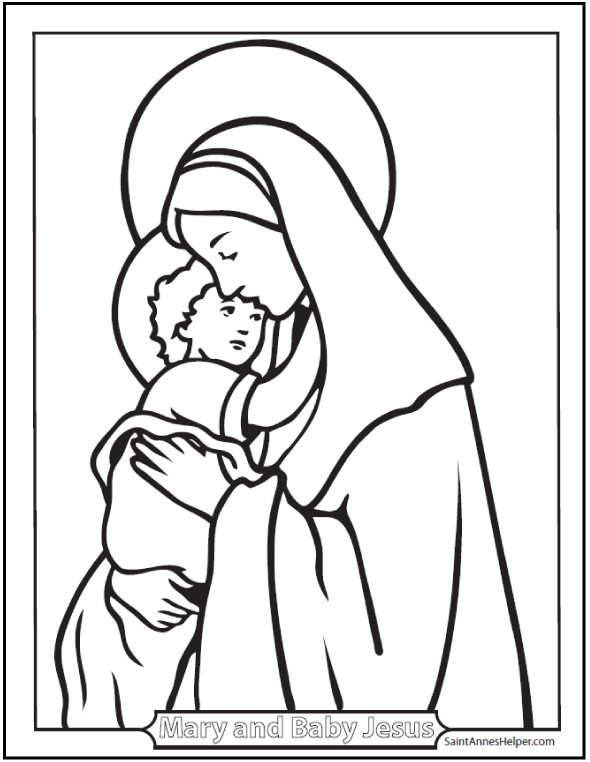 St. Elizabeth, the mother of St. John the Baptist, said the next part. (Luke 1:28 and 1:42) The rest is our petition to her to pray for us now through the hour of death, meaning unto final perseverance. 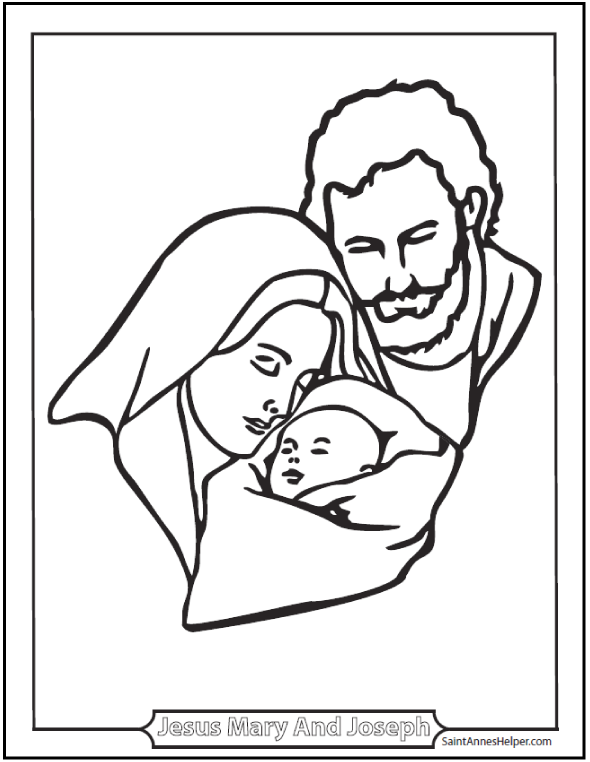 These are free samples of our St. Anne's Helper Catholic worksheets. One has the Angelic Salutation in manuscript and the other has it in cursive writing. 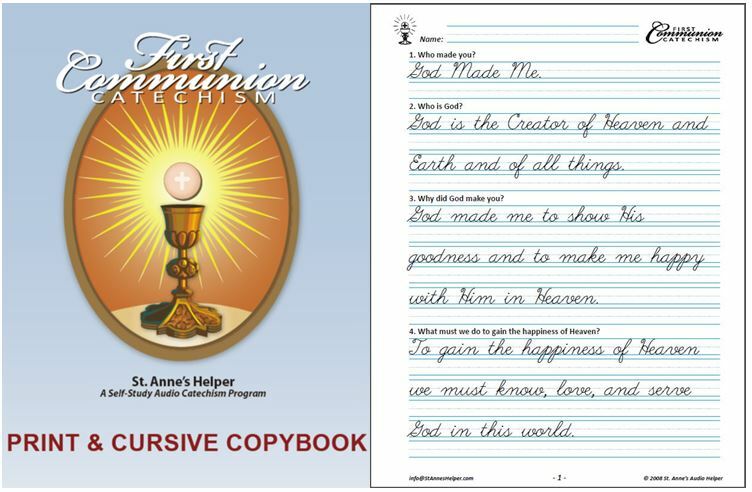 These pages are from the St. Anne's Helper First Communion and Confirmation Downloadable Copybook ebooks. 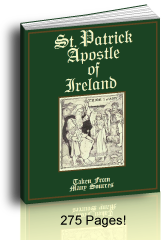 You can download and print these free or buy the ebooks from our St. Anne's Helper order page. The Catholic prayers are easy to learn. 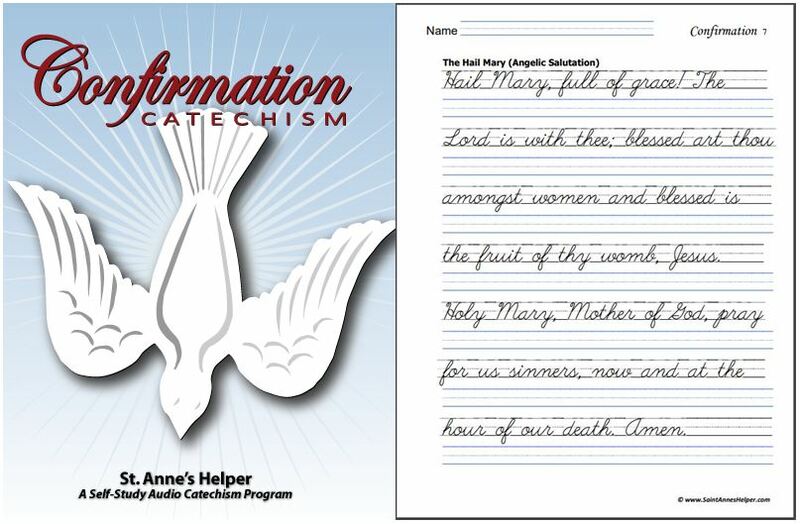 St. Anne's Helper offers an audio version with both the First Communion and the Confirmation Catechisms as well as in our Catechism Copybooks. 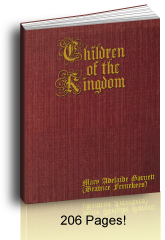 These audio recordings are a giant help for adults and children who are learning the Hail Mary.